In less than a couple of weeks, we will pack our bags and head to Naviance Summer Institute. We have created a checklist of things to do before, during, and after the conference to help you have an amazing experience. Who do you want to meet? Connect with them before the conference (you can use the mobile app) and set a time to meet. Remember to pack your business cards. Create your personal schedule before you arrive. Download the full sessions list for descriptions and content tracks you can follow depending on what knowledge you are looking to gain. You can also select them à la carte. Don’t forget to pack your electronic devices, chargers, and power cords. The Hobsons Hub will include a charging station for your convenience. Pre-order an official NSI 2016 t-shirt to commemorate your conference experience and you can pick it up on-site. Tell your friends you’re attending NSI. Share what you’re looking forward to. When you tweet use #NSI2016. You can search for this hashtag to find others, and form connections even before you arrive. Register Today! There are a number of activities that require advanced registration. Be sure that you have registered if you wish to participate in the product innovation forums, research sessions, and pre-conference sessions. Share your story. Hobsons staff will have cards for you to share information about your Naviance Success Story. Engage. There are a number of opportunities to meet new people. Don’t miss these events with our higher education and corporate partners: pool social, happy hour reception, college and partner fair, breakfast sessions, and networking lunch. Make time to visit the Innovation & Learning Lab to network with colleagues and Hobsons product experts, ask questions, and share best practices. Sign up here to participate in the research sessions. Take notes and share. There will be a lot of content to remember so be sure to write down what you want to remember. Share your favorite moments with us on social media. If you use #WhyNSI on twitter you could win a Kindle Fire. We bring you engaging keynote speakers each year. This time you can meet the speakers by attending the book signing in Arroyo Foyer & Dunes B. Complete the evaluation form in the mobile app. We value your feedback and use it to improve the conference. Download session materials from the mobile app. Be sure to do this soon after the conference; the information is only available for a limited time. Follow up. Now that you’ve made connections take time to make those relationships thrive. 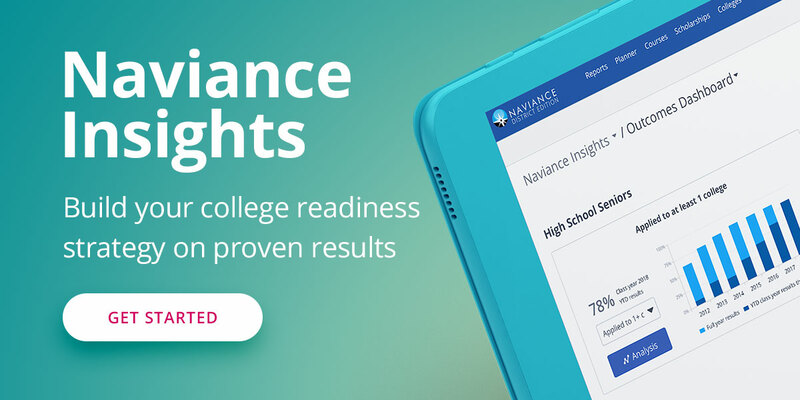 Send a quick email, connect on social media, or in the Naviance Network. Save the date! We want to see you next year so make sure you put July 11-14 on your calendar. NSI 2017 will be held at the Gaylord Palms Resort & Convention Center in Orlando, Florida.